EZU is Authorized service centre of RTX Product A/S. EZU offers calibration & repair CAT-iq, DECT6.0, DECT testers, and also 2.4 / 5.8GHz test equipments and wireless production test solutions. 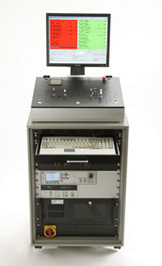 The RTX2012 HS RF Test Platform for DECT/DECT 6.0/CAT-iq/Japan DECT supports a wide range of RF tests in connected mode. Due to the high Performance (HS) measurement capability it is especially designed for high throughput manufacturing applications. Its extended measurement capabilities make it a perfect tool in the R&D environment. 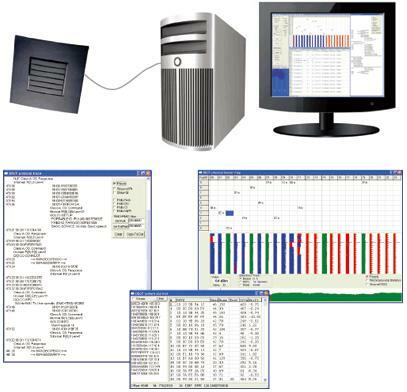 The RTX 2011 RF Test Platform for DECT/DECT 6.0/CAT-iq# supports a range of different RF tests in connected mode and can be used for manufacturing applications as well as for R&D applications. The RTX Smart ATE is a highly competitive and cost/time efficient test solution for functional test in the production of wireless devices.The Smart ATE reduces the complexity and size of the ATE system through the inclusion of modular instrumentation internal to the test unit.The flexible nature of the Smart ATE enables a swift physical reconfiguration - in literally a matter of seconds,it can be reconfigured to accommodate different products and test types. The RTX 2100 RF Verification System is a SW suite for automatic test and measurement of the Dect/CAT-iq RF performance tests traditionally performed during the product develpment phase. The test cases supported by the RTX 2100 RF Verification system is based on the EN 301 406 specification but is focused on RF performance and not certification(e.g. sensitivity is measued at minimum level and not a predefined level and number of measurements samples is reeduced in order to save test time).